This week marks the release of Firefox Developer Edition 48. In preparation for the arrival of multiprocess Firefox and the deprecation of the Firebug add-on, we are porting Firebug features to the built-in tools. We have also made tweaks to the current tools that we’ll cover in this post. Editing support inside the storage inspector is one of the most frequently requested features. 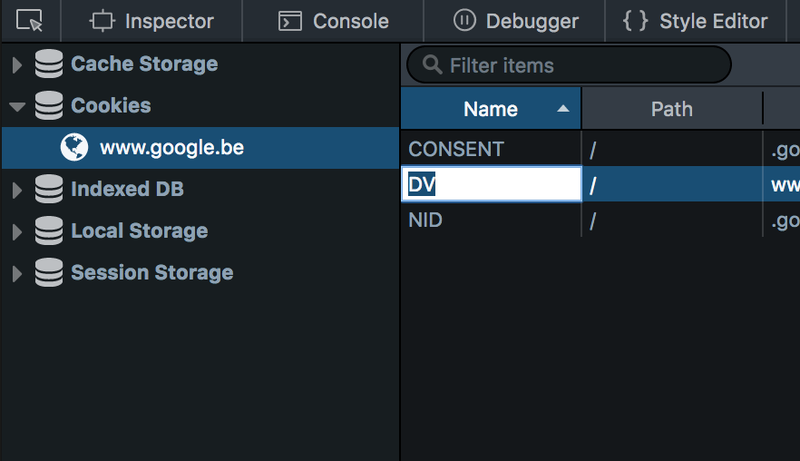 In this release, we added the ability to edit and delete cookies, local storage, and session storage entries. You can edit a cell by double-clicking on it. You can also delete entries by using the context menu. In this release, we have added a new visual editing tool that allows you to easily tweak the positioning of any absolutely positioned or fixed-position element. You can change the values of the top, left, bottom and right properties using this tool. To launch the geometry editor, go to the Box Model tab in the inspector and click on the icon. The memory tool is now enhanced with a brand new tree-map view that gives a quick and intuitive visual overview of how memory is being used. This new view groups objects together by their types, which allows you to easily see the quantity of similar items (arrays when drawing canvas lines, scripts when loading a script-heavy website, etc.) taking up memory. Also, the size of each item in the map is proportional to the amount of bytes used, which allows you to easily see which items are taking up most of your memory. The memory tool provides a useful aggregate view that groups all instances of the same type of node. In this release, you can now click the ⁂ icon to view all individual instances of a specified type in a separate view. You can also view the retaining paths of those individual nodes, using the retaining paths panel added in the previous release. This allows you to precisely pinpoint how a specific object is leaking when debugging your web app. Finally, we have also added the ability to remove individual snapshots from the memory tool sidebar. We have also improved the way long values are handled in the Rules view. A new multi-line mode specifically for long values lets you conveniently reach and select different parts of the value you’re editing. The markup view now emphasises the relationship between a parent node and its children. The selected element now has a line underneath it that highlights the child nodes. This allows you to easily spot the selected element child nodes when the HTML markup is complex. A quick way to switch between different angle units in the Rules view has been added. There is now a swatch next to angle values which you can shift-click to cycle between different units, similar to the colour values interaction. This feature was added by contributor Nicolas Chevobbe. Finally, we have added keyboard shortcuts to easily navigate between the markup view search results. You can now use Shift+Enter to navigate backwards within the search results. Also, Ctrl/Cmd+G and Ctrl/Cmd+Shift+G now work as aliases for Enter and Shift+Enter. These keyboard shortcuts were added by contributor Steve Melia. 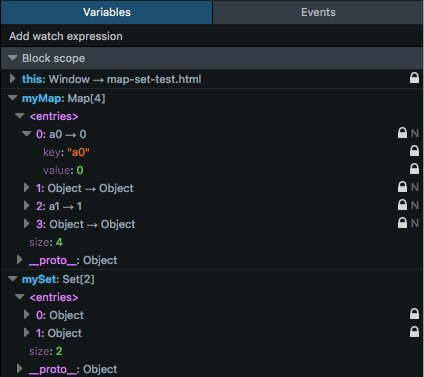 If you’re working with Map or Set objects, you can now view and inspect their individual entries from the console sidebar. This feature was added by contributor Jarda Snajdr. Finally, we have added support for console.clear() to clear the console output. In preparation for the release of WebExtensions, we’ve added a feature that will be a great help to add-on developers. You can now reload add-ons from about:debugging, which allows you to quickly develop your add-on without having to re-install it every time you make a change. Thanks to everyone who contributed to this release! Make sure to grab a fresh copy of Firefox Developer Edition and share your thoughts! If you have feedback about different Firebug features being ported, we’d love to hear your suggestions and constructive comments here. Thanks, good catch! I’ve updated the blog post with the correct bug number. “…allows you to browse and inspect the DOM structure of your page” – This sounds more like the Inspector panel. The DOM panel is more like a tree view of the global object, from what I can see. Great news!!! In the past I often used this site http://ffdevtools.uservoice.com/ to suggest new features but now is not available anymore and I didn’t find any news about it. I suggested many things to improve user experience but how to suggest them again? Bugzilla is full of great idea. 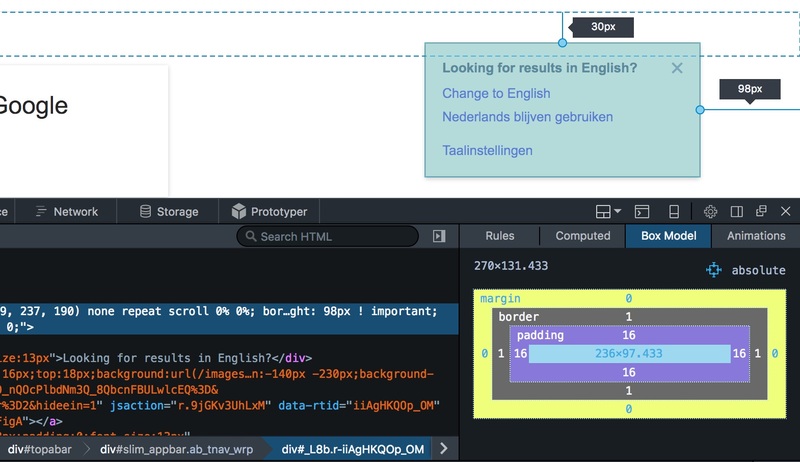 Just look in the “Developer Tools” component or file a bug. But I agree that in bugzilla it’s much harder to find issues/ideas and no one really uses its voting system. Also took my ages to find. I do not know if its lower priority than other bugs but at least you can follow it know. PS I must say that the uservoice was full of Spam and insults, so I guess it would have been lots of maintenance work in the end. The bug tracker is full of very useful ideas, it’s just not that easy to find things on bugzilla. One of the features I like the most in Firebug is the option to edit the HTML/CSS with the Inspector and see the changes reflected live on the web page you are working. Right now the changes only apply after finishing the edit. Will/can this be imported from Firebug ? Thank you for your work! Editable storage is organized very well and easy to use. Editable storage is really easy to use.